Black spot, or diplocarpon rosae, is one of the most dreaded diseases of roses. Black spots form on leaves and stems causing them to yellow and drop. A serious infection can cause complete defoliation of the plant. Adopting a regular schedule of applying fungicidal sprays can greatly reduce the scope and damage the fungus can do to your roses. You do not have to buy expensive potions from the garden center. Just mix up one of these proven recipes from ingredients you may have on hand at home. 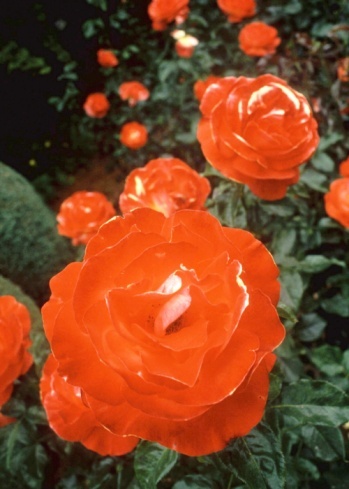 Achieve disease-free roses with regular spraying. Use a hand-held spray bottle for only a few rose bushes. Cornell University led the research years ago for using common baking soda as an anti-fungal agent. They found that the addition of oil is essential to the effectiveness of the recipe. Many other versions of the original recipe add a little dish soap, or insecticidal soap, to help the solution cling to the leaves, and to help control insect pests. If you want to keep the recipe organic, use dish soap instead of insecticidal soap. Milk is a folk home-remedy for black spot on roses, but modern testing has proved it is an effective deterrent for fungus. The downside to using it is that it can get smelly, when applied too thickly, from decomposition of the milk fats. Mouthwash is formulated to retard the growth of bacteria and fungus in the mouth. When combined with the other known fungicides like baking soda and vinegar, it becomes a powerful weapon in your arsenal against black spot. Combine all ingredients in the gallon-sized jug and secure the cap. Shake vigorously until ingredients are thoroughly mixed. Pour enough of the mixture from the gallon jug into the spray bottle to fill it up. Spray the roses weekly, in the morning, wetting them completely with the spray. Water roses well a day or two in advance of spray treatment. Start spraying in spring, when the leaves first emerge, and continue until frost. Reapply after rain. 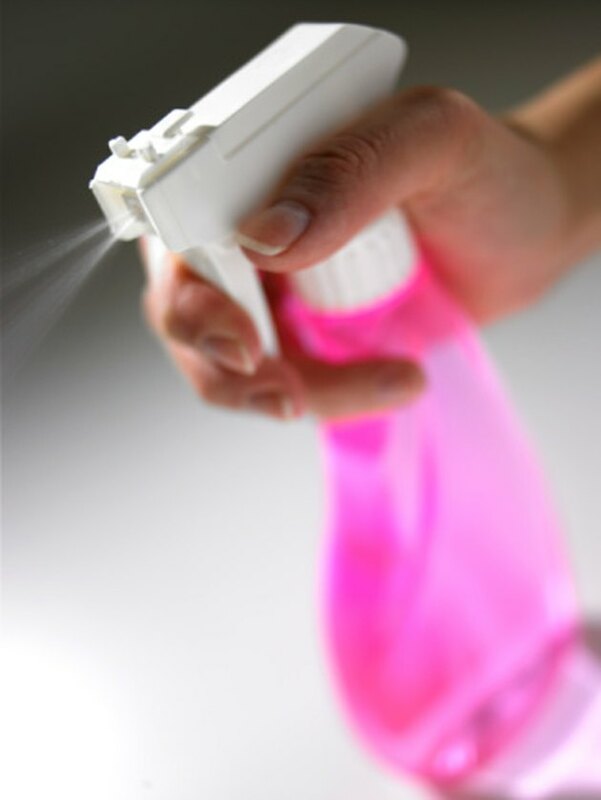 Avoid spraying in the heat of the day or at night. Remove and destroy any leaves or stems that show signs of black spot. Buy disease resistant varieties of roses. Do not allow plants to become crowded. Decreased air circulation will encourage the formation of black spot. Keep them pruned and trimmed for optimal air circulation. Diane Cass began writing professionally in 1982, creating theatrical productions for churches and schools. She now enjoys sharing her knowledge by writing for various websites. Cass earned a Bachelor of Arts in music and teaching credentials at Vanguard University in Southern California.